It’s time for yet another episode of See You Next Wednesday! This week, Greg and Casey get to pick their movies – as it was a Winner’s Choice roll – and they picked two intriguing films to check out. 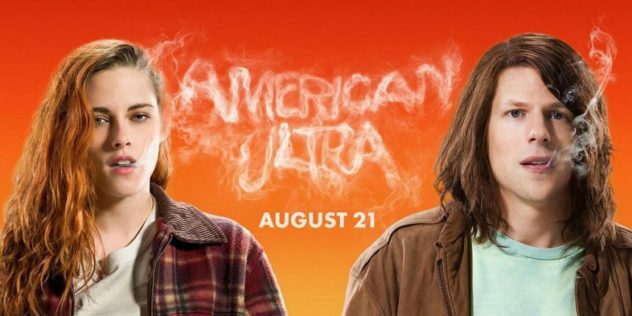 First, Greg reports back from his smoke-laden trip through American Ultra starring Jesse Eisenberg and Kristen Stewart. The film – an stoner-comedy meets CIA-action yarn – was written by Max Landis who worked on Chronicle previously and has a few other films slated for release soon. Does this genre-blender mix up the goods, or does it just mix up the goods? If you get our drift. Do you? Because I don’t. Then, Casey pulls over Cop Car and inspects another genre film – this time a bare-bones, no-fat thriller starring Kevin Bacon and directed by Jon Watts. Is this a flim to watch, or should you drive on by it? He’s got the answers for you. Finally, Dan goes so undercover to watch the Miley Cyrus dud So Undercover. How bad is this one? You’ve gotta listen to find out! We also listened to an album by Insane Clown Posse and continue to wonder how they remain a thing. But first, we’re talking about movie news and trailers, discuss what is is about Revenge of the Sith that is so disappointing, check in with Spy and Real Men, plus so much more!